Omega 3 fish oil benefits are seemingly endless. Omega-3 fatty acids are mandatory for growth and development. If you do not take sufficient quantities of omega-3 fatty acids, you stand the risk of suffering from a range of health conditions. Since the human body is incapable of producing this nutrient, one must eat fish or ingest supplements to ensure he or she is receiving the necessary omega 3 fish oil benefits. Different studies have shown that omega-3 fish oil benefits include the potential to lower triglyceride levels and blood pressure. People suffering from heart conditions, cancer, asthma, bowel diseases, psoriasis, ulcerative colitis and arthritis also claim to have benefited from the consumption of this one of a kind nutrient. In the olden days, people could meet their daily requirements of omega 3 in sufficient quantity from eating a variety of wild game and fish. The dietary availability of omega 3 fatty acids has declined in the USA today to barely 20% of what it used to be a century ago. Also, farmed fish that’s available in the market today has much higher levels of toxic chemicals and pollutants than wild fish. Each underwater cage houses upto 50,000 fish. The water is contaminated by their accumulated wastes. Only by administering drugs, hormones and antibiotics can they even be kept alive! Canned tuna and salmon from a tin used to be a recommended suggestion for those who don’t prefer sea food, as a safe and effective alternative that’s rich in omega 3 fats. Unfortunately, while natural fish is a good source, it also increasingly contains pollutants and heavy metals like mercury. Tinned salmon is also farmed, and can be harmful to your health. The Chicago Tribune in a recent investigation found that “US tuna companies often package and sell a high-mercury tuna species as canned light tuna”. This makes pharmaceutical sources of fish oil more attractive as health supplements, as these sources are purified and most contaminants are filtered out effectively. Fish oil sources of omega 3 have some advantages over plant sources. Fish oil is a better source of long chain omega 3 fatty acids like DHA (docosahexaenoic acid) and EPA (eicosapentaneoic acid), both of which are necessary for healthy functioning and development. No plant source provides significant long-chain fatty acids. But while fish oil is the best source of critical long-chain omega fatty acids like DHA and EPA, it is still the most likely to be contaminated with PCBs, DDT and dioxin, along with heavy metals like mercury. An option that allows you to enjoy the benefits of fish oil, without the risks, is to take fish oil capsules. 3 grams a day of fish oil provides 1 gram of DHA and EPA, which is all you need. Several brands use oil from fish caught in the cleanest and coldest waters, far from commercial shipping lines and industrialized countries where there is the highest risk of water contamination by wastes. Making fish oil capsules even safer is the practice of molecular distillation, a process that removes any mercury or other heavy metals, dioxins, PCBs and other contaminants. If you’re keen to learn more about the Omega 3 Fish Oil I personally take daily, please check out this site today. To understand how omega 3 fish oil benefits us, let’s first learn about the different types of fatty acids that constitute omega-3. Fish oils containing eicosapentaenoic acid (EPA) and docosahexaenoic acid (DHA) and plant sources that have alpha-linolenic acid (ALA) constitute omega-3 fatty acids that are necessary for the proper functioning of the human body. Though some plants sources have the same advantages associated with fish oil, less is known about them. There is no single standard dose for omega-3. However the American Heart Association recommends a gram of EPA and DHA each day to those suffering from any heart disease. Higher doses like two grams or four grams a day is prescribed to those who must lower their triglyceride levels. Always consult a doctor before taking any fish oil supplement to ensure that you are consuming the right dose and stand no risk of adverse side effects. Ideal sources that can help you get omega 3 fish oil benefits include cod liver, cold water fish like tuna, mackerel, sardines and salmon, soybeans, tofu, flaxseed oil, walnuts and canola oil. According to the American Heart Association it is best to take in omega-3 fatty acids from these sources. However if one fails to eat fish at least twice a week, omega-3 supplements should be sought. You can also improve the proportion of omega-3 fatty acids in the bloodstream by consuming fewer foods that have omega-6 fatty acids – namely meat and eggs. While discussing omega 3 fish oil benefits, you must also be told that high doses of the nutrient is likely to thin your blood and make you bleed easily so refrain from picking up a supplement over the counter even though they are easily available. To ensure omega-3 only benefits you and does not harm you in any way, consult a doctor before consuming excessive amounts of the same. What Omega 3 Fish Oil Dosage Is Right For You? Your ideal omega 3 fish oil dosage is dependent on several factors. Omega-3 deficiency is a common problem among many people. 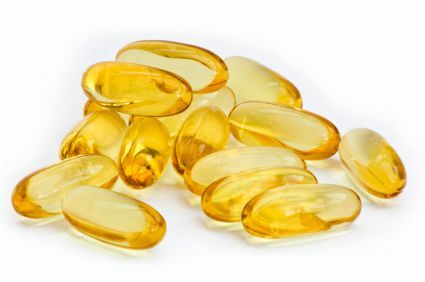 There are many supplements that are available at nutrition and drug stores but the label on your bottle of fish oil supplement does not necessarily inform you about the omega-3 fatty acids that it contains. Usually 1000 mg of regular fish oil contains only 300 mg omega-3 which is the bare minimum you need to avoid deficiencies of the same nutrients. An adequate intake of fish oil requires three to six capsules to be ingested every day. Pharmaceutical grade fish oil is the other alternative you can avail of as they offer 1000 mg omega-3 in each pill. Basically, the omega 3 fish oil dosage in two pharmaceutical pills is the same as six regular capsules. In order to avoid diseases, you must ingest 500 mg of omega-3 fatty acids each day. If you consume 1000 mg of the same, you will be able to maintain great health. However, if you are suffering from any omega-3 deficiency related conditions, you must aim to ingest at least 2000 mg of omega-3 fatty acids daily. Let’s take a closer look at the recommended daily omega 3 fish oil dosage for different health conditions. These recommendations are those made by American Heart Association, American Psychiatric Association and National Eye Institute. However, the omega 3 fish oil dosage for each individual is likely to vary so one must consult a doctor before taking any fish oil supplements. Several factors are taken into account before determining the ideal dose for an individual. These factors include diet, age, size, health conditions and the prescription of other drugs. A doctor considers all these factors before prescribing a particular fish oil dosage to you so refrain from picking up medications over the counter without consulting a medical professional first. However, if in case you cannot reach a doctor immediately but must begin supplementation soon, start with a base amount of three to four one gram softgels per day. It is not advisable that you keep increasing your omega 3 fish oil dosage if desired results do not begin to show. Switch between a lower dose and a higher one instead of continuously increasing the number of softgels you take every day. Ideally this should only be a makeshift measure till you can seek some advice from a medical professional. Make an appointment at the earliest so you can avoid all side effects. For more tips on choosing the right omega 3 fish oil that suits your needs, check out this free special report – click here. Eskimo 3 fish oil is an omega 3 fish oil supplement that offers numerous health benefits. Its fish oil content is derived from non-endangered species of fish which are captured from the chilly northern regions of the Pacific Ocean. Eskimo 3 is an excellent source of natural omega three fatty acids. It goes through a special production process which enables it to preserve essential omega 3 ingredients and oil. This helps to ensure that the fish oil is pure and free from chemicals, pollutants and toxins. Presented below are some of the benefits of taking Eskimo three fish oil. This fish oil supplement is extremely beneficial for enhancing general wellness. It boosts the functioning of your cardiovascular system, helps to improve vision as well as decrease your high cholesterol levels. Additionally, taking this fish oil supplement helps to keep the skin healthy as well as boost blood circulation within the body. 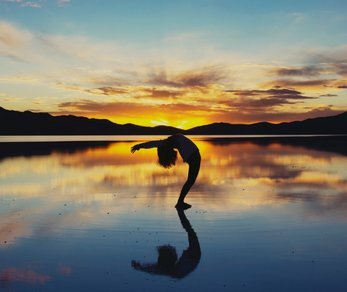 It is also beneficial to the joints as it helps to improve flexibility. Eskimo 3 fish oil also possess anti-inflammatory properties, thus it is beneficial for treating arthritis. It boosts the functioning of the kidneys and prevents chronic pulmonary ailments. 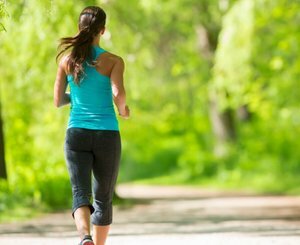 It is beneficial for improving cognitive functions as well as memory. Taking this fish oil supplement regularly will help you remain healthy and fit for a very long time. Eskimo 3 fish oil contains a balanced proportion of the 2 important kinds of omega III fatty acids – docosahexaenoic acid (DHA) and eicosapentaenoic acid (EPA). This excellent natural balance of DHA and EPA prevents this fish oil supplement from becoming rancid. DHA and EPA aid prevent clotting of blood, promotes the proper functioning of the heart and helps reduce atherosclerosis. Another benefit of this fish oil is that it leaves no fishy aftertaste. It does not contain toxins, mercury and other heavy metals. In addition, it is devoid of gluten, wheat, corn, yeast, sugar, salt and dairy products. It does contain synthetic coloring and flavoring chemicals. Glycerin, natural lime and rosemary flavors, soy lecithin, gelatin and anti-oxidants are some of the beneficial ingredients it contains. Eskimo 3 fish oil is available in liquid form or softgel capsule. It is non-toxic, non addictive and has no impurities. It is a fantastic fish oil supplement that is effective and safe to use. As you consider this omega three fish oil supplement, bear in mind that it should be taken with cold things and hot. This is because heat can remove all of its beneficial properties. You should consider adding Eskimo three fish oil to your everyday diet, due to its numerous health benefits. Learn more about choosing the best brand of fish oil for your daily supplements – read this free report now. Fish oil has several benefits because it contains protein and vitamins which complete your nutritional needs. Several researchers have verified the benefits of omega fish oil and healthcare professionals recommend this supplement for improved health and disease prevention. Fish oil is such an excellent supplement because it contains omega 3 fatty acids. This article will highlight the benefits of taking omega 3 fish oil supplements. But always keep in mind the important point of having to pick and choose the best type of fish oil to enjoy the highest benefits over the longest period of time. Making the wrong choice may not only reduce the impact of taking supplements, but may actually endanger your health. Studies as well as clinical trials have established that Omega III fatty acids are helpful to individuals with heart problems. These fatty acids can help to lower blood triglyceride levels, reduce blood pressure and decrease the risk of a cardiac arrest. 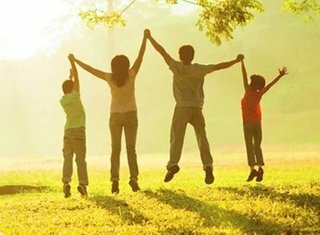 Aside from that, it has positive effect on brain function as well as memory and can be highly beneficial particularly to growing children. Omega fish oil supplements are available in pills form. Taking these supplements can help to boost your immune system as well as decrease your risk of catching a cold, flu and cough. If you are looking to maintain your health holistically, then you should consider including these dietary supplements in your routine diet plan, as more and more investigations are confirming its benefits. The omega 3 fatty acids, contained in fish oil, play an important part in maintaining skin health. Fish oil also contains EPA, which helps to regulate oil production and promote hydration, thus preventing acne formation. It has been observed that using Omega 3 fish oil supplements on a regular basis can help to delay the onset of aging skin. Omega 3 is an antioxidant as well as anti inflammatory fatty acid. Aside from protecting your skin from the harmful effects of the sun, it also helps to repair it. If you are pregnant, taking fish oil can reduce your risk of miscarriage and premature birth. In addition, it has been established that using fish oil during pregnancy can help in the formation and development of the unborn child’s brain and eyes. Consuming omega fish oil supplements during pregnancy aids in the general development of the baby while enhancing the holistic well being of the mother. But be careful not take fish liver oil for example cod liver oil during pregnancy because it contains high amounts of vitamin A. If you are pregnant, you should speak with your healthcare professional before adding fish liver oil in your diet. Now you know the benefits of omega fish oil supplements. Try and include them in your diet for a healthier, better and happier you. To help make the choice of best fish oil supplement easier for you, we have researched the available brands and options before compiling the most important decision-making factors into a short report which you can access and study – for free. Just click here to begin. When it comes to the debate of fish oil vs flax seed oil, there is more confusion and controversy that leaves observers worried about making the wrong choice. Experts are in agreement about the vast benefits to health from omega 3 fatty acid supplements. 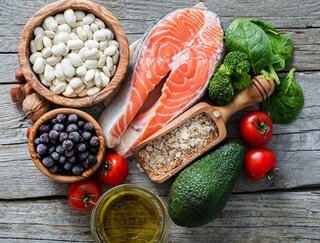 Omega 3 fats have been shown to be helpful in boosting immune function, reversing heart disease, fighting aging related degenerative disease, helping improve fertility, improving mental health and promoting healthier skin. So let’s look at the essential difference between plant and animal sources of Omega 3 before addressing the fish oil vs flax seed oil question directly. 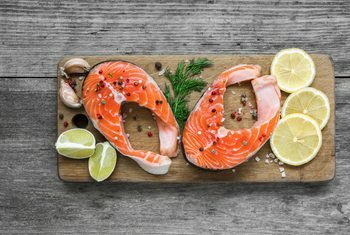 Where can you get omega 3 fats? Omega 3 is plentiful in wild plants and wild game. Plant sources like flax seed oil and linseed oil, fatty wild fish like salmon, herring, mackerel and sardines and in lesser amounts in walnuts, hemp seeds, green leafy vegetables and soya oil are all rich omega 3 sources. Fish sources of omega 3 have some advantages over plant sources like flax seed oil. 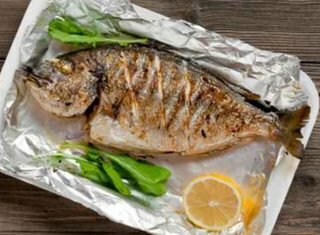 Fish is a better source of long chain omega 3 fatty acids like DHA (docosahexaenoic acid) and EPA (eicosapentaneoic acid), both of which are necessary for healthy functioning and development. No plant source provides significant long-chain fatty acids. Fish oil omega 3 fatty acids help to prevent prostate cancer, a benefit not available from plant sources of omega 3. Okinawan elders, who boast of the world’s lowest rates of cancer of the prostate, get omega 3 in abundance from the wild fish they consume. An alternative for your omega 3 requirements is to take ample amounts of ground linseeds or flax seed oil in your diet. Plant sources, however, are a poorer source of long chain omega 3 fatty acids like DHA and EPA. Supplementary DHA derived from algae is also available as a commercial product, as Omega Zen-3. Unfortunately, while natural fish is a good source of omega 3 fatty acids, it also increasingly contains pollutants and heavy metals like mercury. In a landmark 2002 study on middle-class families in San Francisco Bay area who ate fish for health, it was found that those eating swordfish, sea bass, halibut and ahi tuna steaks had dangerous concentrations of mercury in their blood – that dropped when they stopped eating fish! This is why pharmaceutical sources of fish oil are more attractive as health supplements, as these sources are purified and most contaminants are filtered out effectively. An option that lets you to benefits from these health supplements, without the risks, is to take fish oil capsules. 3 grams a day of fish provides 1 gram of D.H.A. and E.P.A., which is all you need. Making fish oil capsules even safer is the practice of molecular distillation, a process that removes any mercury or other heavy metals, dioxins, PCBs and other contaminants. So instead of worrying about the flaxseed oil vs fish oil debate, why not consider the ‘safe alternative’ – pharmaceutical grade fish oil supplements? How to Choose the Best Omega 3 Fish Oil? Even though there are reams of information available about choosing the best fish oil formulation, this is by no way an easy or quick task. When you consider how the choice of brand and kind of omega 3 supplements you take has a significant impact on the benefits you’ll enjoy from it, you’ll realize that even if it is difficult, it is an essential component of taking care of your health. 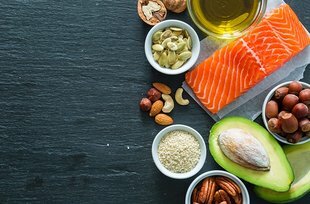 Even though omega-3 fatty acids are one of the most necessary nutrients that are needed in your diet, most people do not know which brands to choose from, especially since the market has become very competitive of late with a multitude of brands crowding the shelves on any health food store. So if you want to find the best omega 3 fish oil, here are a few tips that will help you. The EPA and DHA contents of omega-3 fatty acids determine how good it is. The standard efficacy level across the world is set at two to three grams per day. However, most fish oil supplements available at grocery stores and drug stores offer only one gram of total omega-3 per dose. This means that less EPA and DHA goes into your system than what really needs to. To make sure you are picking out the best omega 3 fish oil, check the quantity of EPA and DHA it offers. The higher the dose, more potent your omega-3 fatty acids are. The only two sources of natural omega-3 fatty acids are fatty fish and breast milk. If you want to buy a fish oil supplement to get the adequate nutrients in your system, make sure the one of your choice is not winterized, fractionalized or ethyl-etherized as every minor modification causes the links in the fatty acid chain to weaken. Contrary to what you may think, the best omega 3 fish oils are the ones that do not have omegas 6 and 9. Omega-6 which is vegetable oil and omega-9 which is olive oil are both a lot cheaper to produce when compared to omega-3. Many manufacturers bank on the ignorance of the common man, and try to pass off omegas 6 and 9 as the supplement you are looking for. If you mistakenly pick out supplements with omega-6 or omega-9, you would actually be consuming a lot more grease than you should be. Check the label and the contents of your fish oil before you buy it. What is more advisable is that you read up sufficiently before heading out to buy any omega-3 supplement. Flax seed oil also has a good quantity of omega-3. Though it is a simple fatty acid and has most of the benefits of fish oil, it lacks EPA and DHA. The best omega 3 fish oils will have the right count of EPA and DHA that help to decrease bad cholesterol and increase good cholesterol in your system. Make sure you study our fish oil buyer’s guide here: click now. Not everyone considers the side effects of fish oil before choosing these health supplements. That’s because fish oil supplements are generally safe and harmless. Indeed it may well be more dangerous to eat fresh fish, considering the level of water pollution and what happens in fish farms on which they are grown! Sadly, many of today’s fish are contaminated with methyl mercury, a relic of industrial waste disposal practices in the past. Mercury is harmful to many organ systems and tissues, as well as being likely to harm developing fetuses when ingested by pregnant women. 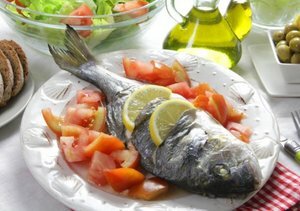 Humans are exposed to methyl mercury primarily by eating fish. How about fish oil supplements, are they safe? Yes, they are. You can enjoy the benefits of fish oil, without the risks, by taking fish oil capsules. 3 grams a day of fish oil provides 1 gram of DHA and EPA, which is all you need. 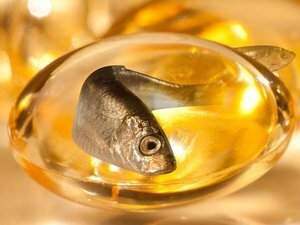 Are there any serious side effects of fish oil supplements? Only a few, and even those matter only if you are currently on medication for other health conditions. For instance, if you are taking blood thinners for any other disease, the supplements might interfere and cause excessive bleeding. The solution to this is simple. Make sure you discuss the supplements you are taking with your doctor and clarify if there are any concerns about interactions between them that could cause side effects. There have been no reports of sudden death, life-threatening illness, handicaps or disabilities from taking fish oil supplements. What side effects of fish oil will you have to deal with? Minor problems have been reported in fewer than 7% of users, and side effects include diarrhea and a fishy after-taste. The latter may be avoided by washing down the capsules with a glass of fruit juice or eating a cracker with it. If that doesn’t work, you might try lowering the dose a bit, or even discontinuing the capsules for a while. Another side effect of fish oil supplements is the troublesome effect of having it repeat on you, with fishy burps and bad breath. This is highly individual, and you may suffer a lot from it, or barely notice it happening ever. One solution to this problem is to experiment with different brands. The best brands, made with pure oil, do not cause this because the fish are caught in clean waters, and the processing prevents it becoming rancid. To see if your current brand passes this test, cut open one of the soft gelatin capsules and smell it. All you should have is a faint, pleasant oceany smell – not a foul fishy odor. If you’re keen to learn more about the Omega 3 / DHA Fish Oil supplements many others like you take daily, please drop by this website today. The side effects of fish oil remain the biggest reason for its limited acceptance by most of the general population. Fish oil has been demonstrated to boost immunity, delay or prevent degenerative conditions, even reverse heart disease, and improve mental health. That discovery has led to a lot of publicity for the benefits of dietary supplementation of Omega 3 fatty acids. Yet many people shy away from taking a daily dose because of the side effects of fish oil. The supplement can be consumed as liquid (1 to 2 tablespoons daily) but it is widely preferred in the form of capsules. Taken in this form, there are very few side effects and even those can be avoided or minimized with some simple precautions. One of the side effects of fish oil is ‘return’ or regurgitation of the oil for some time after ingestion, causing an unpleasant fishy taste in one’s mouth and bad breath. You can prevent this happening by eating a cracker along with the fish oil capsule, or washing it down with a small glass of fruit juice. Also, some forms of pharmaceutical grade fish oil come with lemon or orange flavor which helps reduce this side effect. Rare, but annoying, this can be one reason that forces discontinuing fish oil. By taking your capsules along with meals, and reducing the dose or skipping it for a few days, you can bring this troublesome side effect of fish oil under control while still enjoying the health benefits it confers. Fish oil has a mild blood thinning effect, which usually does not affect normal people. However, if you are taking any blood thinning medication for related medical conditions, this effect can be aggravated leading to potential problems. Always consult your doctor before adding fish oil capsules to existing medication. By and large, fish oil is a very safe dietary supplement. There have been no reports of sudden death, life-threatening illness, handicaps or disabilities from taking fish oil supplements. 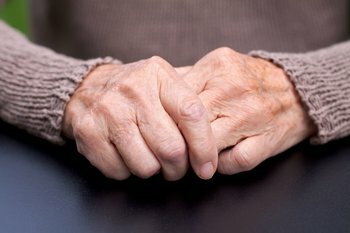 And through following these simple techniques, you can keep these niggling side effects well under control and continue benefiting from the various health advantages that come from taking your fish oil supplements. Finally, if you continue having fish oil side effects, try other brands which may completely eliminate these unpleasant events. If you’d like to learn more about the almost side effect free fish oil supplements I personally take daily, please read this short free report – click here. A list of benefits from fish oil use, mostly related to their anti-inflammatory activity, includes protection from colon cancer, depression, asthma, menstrual cramps, diabetes, multiple sclerosis and rheumatoid arthritis. Fish oil lowers triglyceride levels and reduces heart disease risk. But the body does not manufacture omega 3 fatty acids, and has to rely on dietary sources of this critical ingredient. And with dietary sources rarely being adequate to meet the need, often we have to use fish oil supplements. One way that you can enjoy all the rich benefits of fish oil, without any risks or side effects, is to take fish oil capsules. As more people become aware of the many incredible benefits, fish oil use and sales of supplement capsules has soared. 3 grams a day of fish oil provides 1 gram of DHA and EPA, both of which are essential long-chain omega 3 fatty acids with numerous benefits to your body. One study published in August 2000 in the American Journal of Clinical Nutrition on post-menopausal women monitored their fish oil use and found that those who ate more of the omega 3 rich oil had 25% less risk of developing heart disease than those taking a placebo. Omega 3’s role could be absolutely life-saving! In a report in the medical journal, JAMA, 20,000 men were followed for 11 years and found that those who use fish oil one or more times a week had a 50% reduced risk of sudden death from a heart attack – over the following 10 year period! Making the capsules even safer is the practice of molecular distillation, a process that removes any mercury or other heavy metals, dioxins, PCBs and other contaminants. If you’d like to learn more about the Omega 3 Fish Oil supplements I personally take daily, please check it out here today. What are fish oil supplement side effects and how common are they? A supplement with a high-concentration of omega-3 fatty acids obtained from fatty fish like tuna, salmon, mackerel, mullet, herring and trout makes up fish oil capsules, tablets or liquid supplements. Certain supplements also have fish oil along with vitamins like B1, B2, B3, E, C, A and D. Fish oil is mostly recommended to those who need extra omega-3 fatty acids in their nutritional diet. Commonly, fish oil is recommended to those suffering from arthritis, ADHD, high blood pressure, hardening of the arteries, menstrual pain and kidney problems. Serious health conditions like cardiovascular damage and diabetes can also be treated with fish oil as it helps to prevent blood clots, reduce swellings and modify high levels of triglyceride. Other fish oil side effects include loose stool, diarrhea, nausea, fat in stool, decreased appetite, constipation and vomiting. Some fish oil capsules that are coated to eliminate fish burps can help to minimize these side effects. Also starting with lower doses of fish oil supplements and working upward to a higher dose may help to control possible fish oil side effects. When fish oil is consumed along with meals, they enter your body at a slower rate and thus the risk of possible side effects is minimized. Additional fish oil side effects include headache, depression, short-term memory loss, nasopharyngitis, somatic disorder, worsening of asthma symptoms, increased risk of colon cancer, decreased physical activity, hemolytic anemia, increased blood pressure, increased appetite and a general feeling of discomfort. Though it is not known how many consumers of fish oil suffer from these side effects, if they become severe, it is advisable that you stop consuming fish oil supplements altogether. Fish oil is an essential health supplement because it contains omega-3 essential fatty acids (EFAs) which are commonly prescribed to individuals who have certain inflammatory ailments as well as heart diseases. Even though fish oil has several health benefits, it has certain side effects which can range from minor to serious. Let’s talk a little about fish oil supplement side effects. The consumption of omega III fish oil supplements can result in thinning of blood. If you are presently taking medication which causes blood thinning, then be sure to speak with your doctor before you take omega III fish oil supplements. Even though this side effect is not harmful, it can cause a great deal of discomfort and embarrassment. Imagine a mouth which smells like rotten fish as well as a constant attack of fishy burps. Thus before you consume these supplements, make sure you have a good mouth freshener. Stomach pain is one of the commonest fish oil supplement side effects. When people start consuming fish oil, they might notice oily stools and at times even blood spots within their feces. Also, they might be in danger of experiencing acid reflux or heart burn. In addition, several individuals have reported experiencing nausea for the initial few days. Omega III is obtained from fish liver. Fish liver is known to possess high levels of vitamin D and A. consuming these supplements will result in an increased amount of the vitamins D and A. excessive consumption of these vitamins can result in vitamin toxicity. Since one of the fish oil supplement side effects is blood thinning, you should be extremely careful regarding the dosage that you take. Ideally, it should be approximately four hundred milligrams daily. Consuming more than that will result in severe blood thinning, leading to an increased difficulty in blood clotting after an injury or cut. One way to avoid the side effects of consuming fish oil is take them in the proper doses. At the start, you might experience some side effects, but in nearly all cases, all the side effects disappear in a couple of days. If the side effects persist after a few weeks, consult a medical professional. You can also avoid fish oil supplement side effects by taking high quality supplements which have been assessed to be free of mercury and other heavy metals. Before you start taking these supplements, get a comprehensive checkup with your doctor. Keep healthy and stay safe.